I started roasting the plums, just for something a little different, and then I sort-of became hooked. 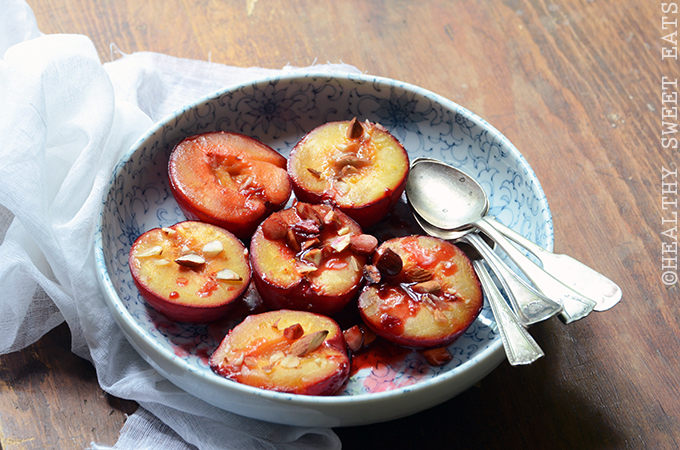 Like any other fruit/vegetable, plums get soft and caramel-y when roasted. Their natural sweetness is enhanced and accentuated, making them perfectly enjoyable as-is, but also lovely for topping with a dollop of yogurt or coconut “whipped cream” for a lusciously smooth, cool contrast. This is the perfect light summer dessert when you want just a little something sweet. It also works well chilled for breakfast, served on top of thick Greek yogurt or cottage cheese. 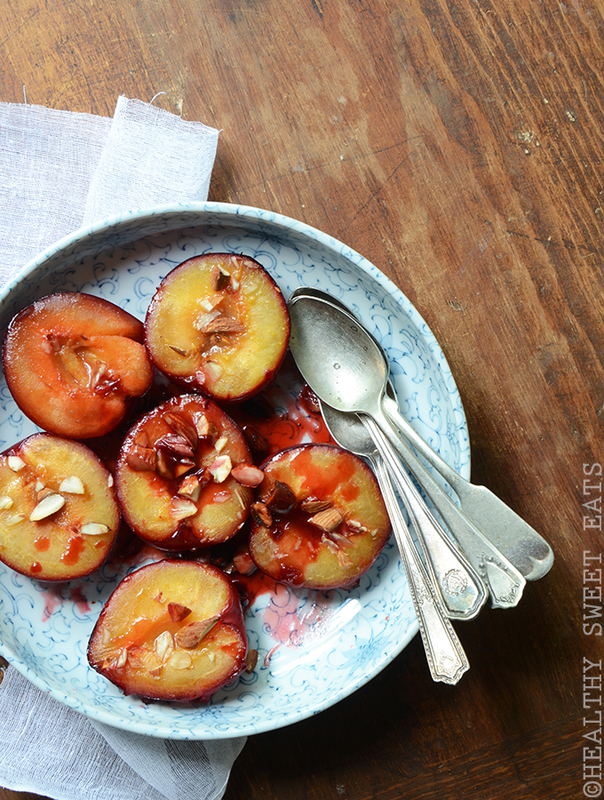 The natural sweetness of plums is accentuated by roasting; mahlab adds complexity and honey highlights the sweetness. Preheat the oven to 400F; grease a 9-inch pie plate or 8 by 8-inch casserole dish with the coconut oil. Whisk the honey, water, mahlab, and sea salt together until the honey is dissolved. 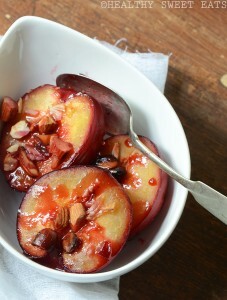 Put the plums (cut side up) into the prepared dish, drizzle on the honey syrup, and sprinkle on the almonds. Roast until tender, but not mushy, about 10 to 15 minutes. Serve the plums warm, at room temperature, or chilled.